May you drink in the words our ancestors spoke long before these strange modern days. May the poetry found in these pages remind you of our connection with the earth, with the Gods and with our culture. It is you and I who will decide the future for our folk. Let us ensure they have something to remember and be proud of. 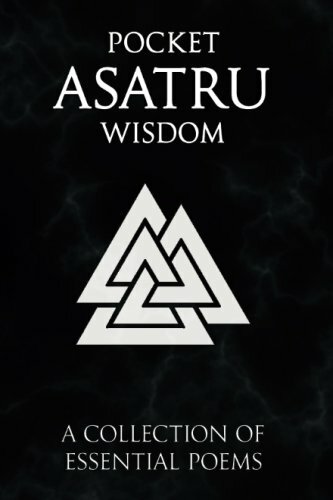 Pocket Asatru Wisdom Volume 1 is the first in a series of pocket sized books with the goal to provide wisdom and inspiration to seasoned Asatruar and beginners alike. Included in this Volume are: The Voluspa, The Havamal, The Icelandic Rune Poem, The Norwegian Rune Poem and The Anglo-Saxon Rune Poem.